While you're up all night playing games...we're up all night building them. 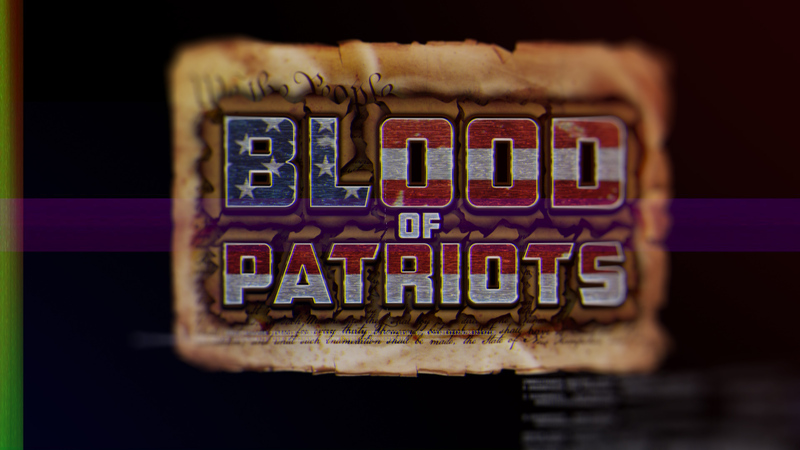 Blood of Patriots is now available in the Apple App Store, Google Play Store and Steam! Use your Xbox controllers, challenge your friends and play in 4K. An evil force, lurking deep in the shadows, threatens our freedom. You must select your fighter and refresh the Tree of Liberty. The fate of the country depends on you! Reminiscent of the 1990s arcade fighting games, each patriot has custom fighting moves, fireballs, sounds and animations. As you fight your way up the tree, the fights become more difficult. Take the best parts of Street Fighter, Mortal Kombat, Tekken, Dragon Ball Z and put them together with your favorite political characters of then and now and you've got Blood of Patriots. 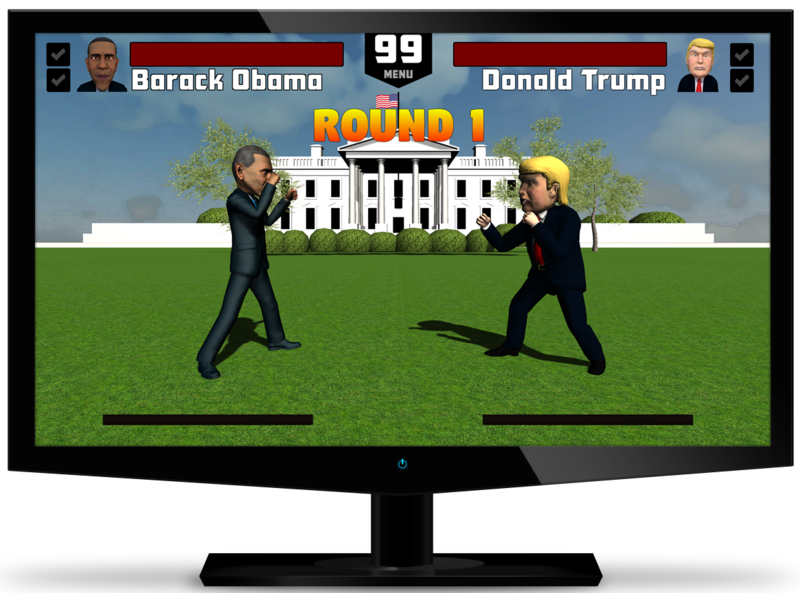 The best online presidential fighting game ever created. Don't believe me? Download it! It's free. A portion of the proceeds will go to 2 charities. Wounded Warriors Project & SSG Travis Mills Foundation. There are real Patriots in this country that have shed actual blood. They need and deserve our help. Mobile is cool. PC games are cooler. Grab 2 XBox controllers, your best friend, and play Blood of Patriots in 4K as our Founding Fathers intended. It's in the Constitution. Check out our Steam trailer. You can find out more by visiting bloodofpatriots.us and our youtube page for more videos. In 2008, the Axelman brothers released a DVD titled Presidential Debates Gone Wild. It featured a compilation of the best moments from presidential debates as far back as the 1960s. For the two brothers, that project, however, was only the beginning. Two years after releasing their first political-inspired DVD, Matt found himself re-living his 90’s childhood by playing Mortal Kombat on his iPhone. That’s when the idea of substituting presidents and vice presidents as game characters was born. Seven years later, the brothers are back once again with their newest political project, Blood of Patriots. 12 to 6 has been busy. Keep up to date with our latest news. 12 to 6 Studios will be at GDC Studios. We'll be walking the expo hall with our Blood of Patriots shirts. Please say hi! February 2018, Blood of Patriots is now available on Steam. 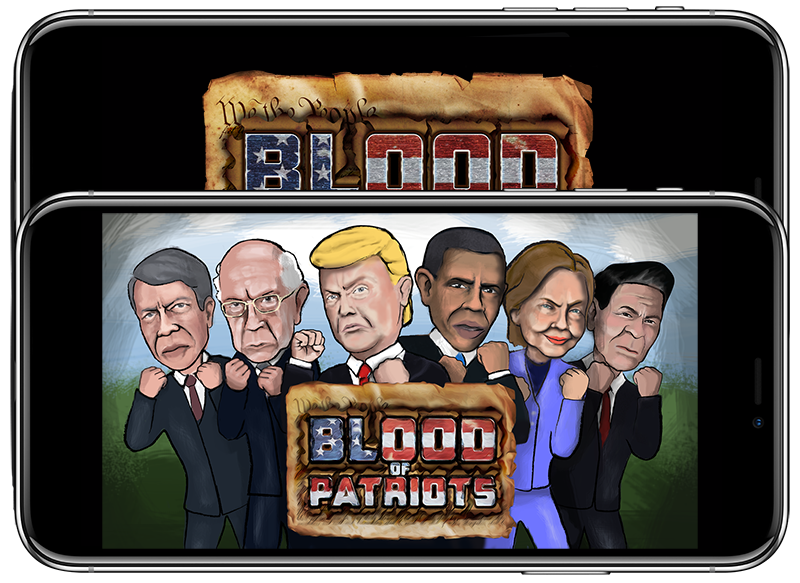 December 2017, Blood of Patriots is available on the Apple App Store and Google Play Store.